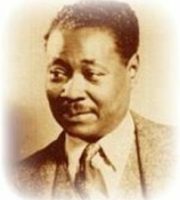 Claude McKay was a Jamaican-American writer and poet, who was a seminal figure in the Harlem Renaissance. He wrote four novels and many collections of poetry, a collection of short stories and two autobiographical books. His 1922 poetry collection, Harlem Shadows, was among the first books published during the Harlem Renaissance. His Selected Poems was published posthumously, in 1953. Here are shared some of his best poems and famous ones like My Mother and other poems.